Adam Slipakoff is the Managing Partner of Slipakoff LLP (www.slipakoff.com), a boutique corporate law firm focus exclusively on venture capital, private equity and securities transactions. The firm has grown to include five lawyers handling corporate and banking transactions, including mergers and acquisitions, intellectual property, corporate governance, bank transactions and litigation and corporate bankruptcy matters. 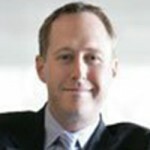 In 2008, Adam was a founding partner of Busch, Slipakoff & Schuh, LLP. In 2004, Adam was a founding partner of Taylor English, LLP (formerly Taylor, Busch, Slipakoff & Duma, LLP). From 1999 through 2004, Adam was a corporate attorney with BryanCave, LLP. He is a frequent speaker on corporate finance topics, including venture capital financings and private placements. Adam received a B.S. in Finance and an M.B.A. in Securities Analysis from the University of Florida. Adam received a J.D. from the University of Florida Levin College of Law. 1. The structure of your startup matters, but corporate governance and compliance matters more. Any attorney worth his or her salt will explain to you the nuances of selecting a legal structure for your company. But, whether your startup is a corporation, a limited liability company (LLC), or a partnership, if you’re looking to attract VC investment, you have to make sure your house is in order. What does it mean to have your company house in order? It means ensuring that your startup’s governance structure is settled and agreed-to by all your stakeholders. It means ensuring you have fully executed, adequate organizational documents and agreements in place (e.g., an LLC operating agreement, corporate bylaws, and shareholder agreements). It means that you are complying with necessary corporate and LLC formalities (e.g., holding regular board meetings, maintaining a minute book, and keeping adequate debt and equity records). Why does it matter? Because it’s reasonable for you to assume that every serious investor will ask to examine your organization and structural documents and minutes. And if there is any uncertainty around your company’s past actions, or what rights the investor (and subsequent investors) will have, then you can be certain that investor is going to run like hell. 2. Your contracts matter a lot. Especially if they’re not in writing. Ok, look—it’s not surprising (or even unreasonable, in some instances) that many early-stage startups enter into unwritten agreements. And, sure, an agreement does not have to be in writing to be enforceable, but it sure helps when it is. Serious investors will ask to review your material contracts and agreements, and ensuring they’re in writing elucidates your company’s obligations. This matters not only because uncertain obligations on your company can frighten away investors or because misstated contract terms might lead to a breach of the agreement, but also because, most importantly, making untrue statements about or failing to disclose material facts in connection with a sale of securities is a violation of state and federal securities laws. 3. Form transactional documents are convenient and cheap, but they’re rarely sufficient. Alright—it’s time to come clean: I’m an attorney (collective “Gasp!”). So, is it any surprise that I would tell you that it’s paramount to find an experienced, competent attorney or law firm to assist your startup? Of course not. But the truth is that you’re asking for more trouble than you realize when you rely solely on form documents pulled from the Internet. These documents—which are abundant—aren’t inadequate or dangerous simply because they promulgate from the Internet, but neither is medical advice gleaned from a Google search, and my guess is that, while you may occasionally type a stray symptom or two into a search box, you probably aren’t making vital medical decisions without consulting a licensed, reputable doctor. So, too, should you consult with an experienced, licensed attorney when preparing and entering into transactional agreements. Like I said, the form documents making their rounds on the Internet aren’t necessarily dangerous, and many come from reputable accelerators and incubators. But, these documents weren’t prepared with your specific rights, needs, compliance requirements, and general circumstances in mind and, without consulting with an attorney who knows what he or she is doing, that can result in unintended consequences for your company and your investors. 4. It’s ok to not know, as long as you’re willing to ask. This seems obvious, but it’s one of the hardest maxims to truly embrace. No one wants to admit that he or she doesn’t know what to do or say in a particular situation, but it’s far costlier to wing it and fail, then to reach out to someone who knows. Moreover, especially in the VC arena, it’s easy to be intimidated by industry jargon and quirks, but it’s always important to ask about the things you don’t understand. 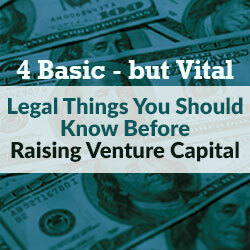 New investors and startups, alike, can’t be and aren’t expected to know every little facet of a complex and fast-paced industry—especially the legal aspects of that industry. But there are consequences to acting without knowing what you’re doing or required to do. So ask questions. Ask an experienced VC questions. Ask successful startup owners questions. Ask failed startup owners questions. Ask your attorney questions.